This is the M Page of our A to Z guide to plants -- how to care for them, landscaping with them, and cooking and healing with them. This is a tropical climate tree grown for its wonderful nuts. Macadamia trees take a long time to become productive, up to four or five years, but a couple of years later a single tree can bear many pounds of its delicious and valuable nuts. Benefits: The nuts are said to provide just about everything you'll ever need and they'll cure you of ills too. Probably the truth of the matter is that the nuts are good for you especially since they taste good too. 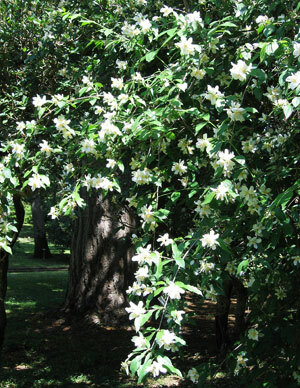 Planting and Care: Macadamias are evergreen trees that will grow to be up to 40 feet in height and 30 feet in width. The real key to a happy macadamia is moisture so if you live in a place with high humidity and lots of rain this might be a match made in heaven. They will also want to be planted in deep, fertile and well drained soil with a pH between 4.5 to 8 and they want to live out of reach of high winds. In spring, fertilize them generously with nitrogen and potassium but keep phosphorus to a minimum. I would recommend buying a healthy small tree as its nut production will be much more reliable than one you grow from seed. My #1 Fruit Mystery was generously solved by Nathaniel, a visitor to the site. I am very grateful for his help. Photographed: In the Botanical Garden in Palermo, Sicily, Italy. 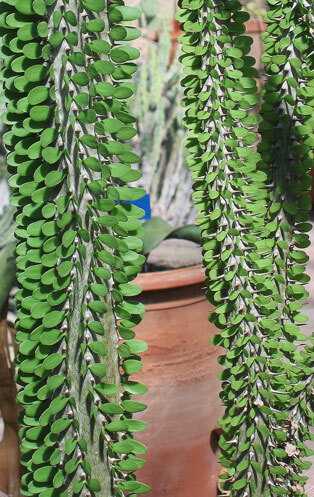 The photograph on the left is a detail of one of these peculiar plants taken in the huge cactus/succulent greenhouse while the photograph on the right was taken in the outside cactus garden. Planting and Care: To be happiest this succulent would prefer to be in full sun, but it will manage a bit of bright shade too. 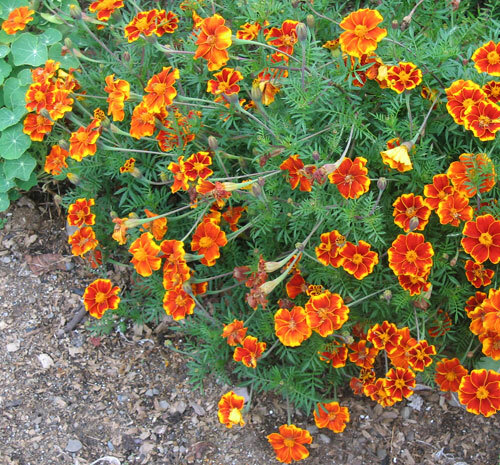 It is extremely drought tolerant making it an excellent choice for a xeriscape garden. It is not at all tolerant of frost. 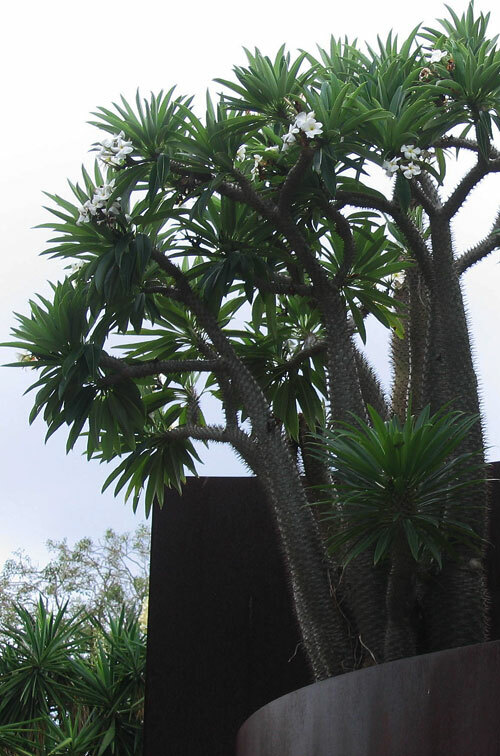 This odd looking plant is a succulent that closely resembles a frangipani with the exception of its spiny surface. I was immediately taken with it when I saw it. 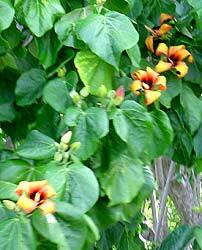 They are easy to grow in a warm climate and will grow as much as a foot a year. Planted in the garden they will grow to be over 15 feet in height. Benefits: Its sap was used as a poison for the tips of arrows. Planting and Care: Place your Madagascar palm in an area of the garden where it will be in full sun and where it will be relatively dry. Treat it as you do your other succulents and it will do very well. These plants sadly have no tolerance for cold. 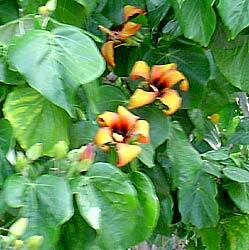 Warning: This plant is poisonous if eaten, but it is also toxic if you come into contact with its sap. One of the wonderful characteristics of this plant is that it is lovely as greenery and even better when it's flowering. That's not all too common in my experience. 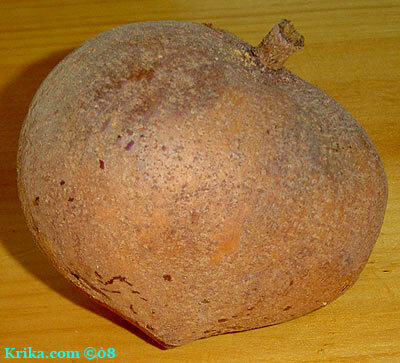 Benefits: It has been used for centuries herbal medicine in treating blood related disorders. From: From the island of Madeira. 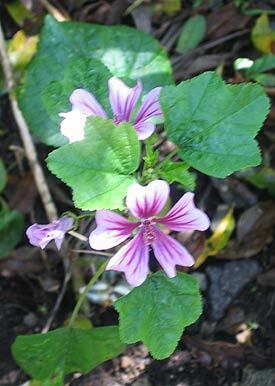 Planting and Care: This perennial geranium is not frost tolerant, but it is able to grow in full sun or shade in a variety of soil types as long as it has well drained soil with routine rainfall or watering. It rarely gets as easy as this. Photographed: In the Auckland Domain Park, 2013. 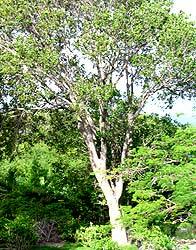 Native to the West Indies, the mahogany was said to be protected in Montserrat, though we were unsure what that meant as we saw so many cut down. Among several young trees, we had one very tall old tree on our property which truly was the garden's centerpiece as well as being a stunning survivor of the 1989 devastation wrought by Hurricane Hugo. It is a West Indian mahogany which is said to have a better wood grain than the fast growing Honduran mahogany. 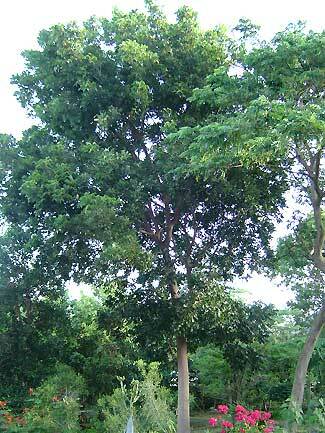 West Indian mahogany trees lose their leaves in the spring dry season in April and May, though the old leaves are almost immediately replaced by new growth. The mahogany can be most readily identified by the rounded oval pods at the top of the tree which come from nondescript flowers born in late spring to early summer. It will grow to be just over 80 feet in height. Benefits: It is most commonly used for the quality of its wood. No part of this tree is edible, but the bark has been used medicinally to treat external injuries. From: The Caribbean and South Florida. Planting and Care: As with all trees I recommend that you purchase one of these beauties locally where you will get the best planting and care advice for your location. If you have a local college or university with an agriculture department, they will also be able to advise you. In our first few years in Montserrat, we worked hard clearing our land. We got to a final corner two years ago and discovered a lovely straight as an arrow mahogany growing in the center of a large nondescript tropical forest area. We cleared all of the less appealing trees and brush and were left with a mahogany about six inches in diameter. That small tree grew at an enormous rate and was well over a foot in diameter when we sold our home. In its native environment this tree will grow to be about 200 feet tall. 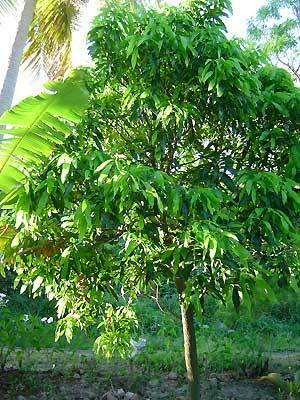 Benefits: This tree has been used for its medicinal benefits and it is now used for mahogany wood the world over. Planting and Care: I suspect that any tropical environment would be perfect as long as there is routine rainfall. I don't think you'd like the bill for watering this beautiful tree. 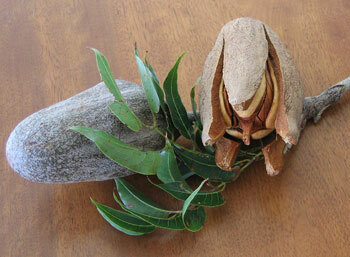 Below are two of its seed pods which are very hard initially. After falling from the tree, they dry out in a few days exposing the seeds inside. Easily mistaken for a geranium, this biennial or perennial plant offers a similar appearance with a purple or lavender color range. Benefits: I read that the malva has both nutritional and medicinal benefits, but none of them seemed too appealing. 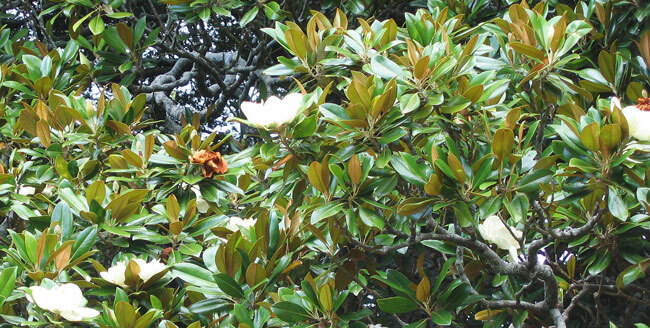 Photographed: On the right in the Thuya Garden, Mt. Desert Island, Maine, 2013, and on the left in the Hotel Atitlan on Lake Atitlan in Guatemala in June of 2010. 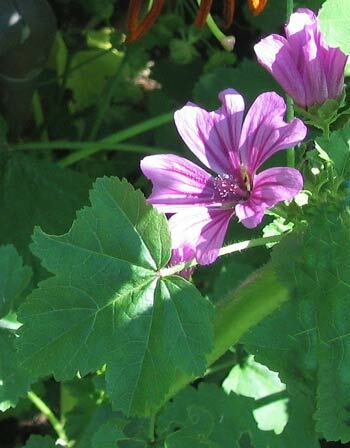 Planting and Care: The malva is one of those good sorts that will tolerate most soils, but it does like to live in the sun and to have routine watering or rainfall. Text and Photographs ©KO 2010 and ©GreenGardeningCookingCuring.com 2012/2018. 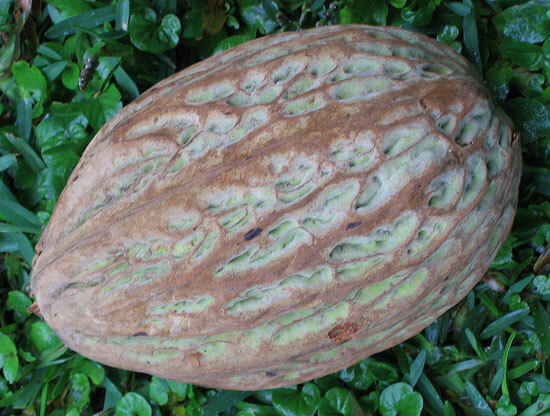 The fruit of this large tree are baseball sized with a light brown rough skin. 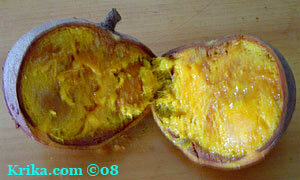 The interior is yellow/orange in color and very sweet. Benefits: Aside from the lovely fruit it bears, many parts of this tree can be used for their natural insecticidal properties. For more information take a look at this website: click here! 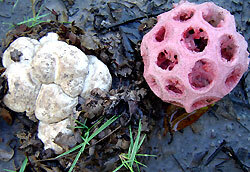 Photographed: In Oaxaca in southern Mexico. 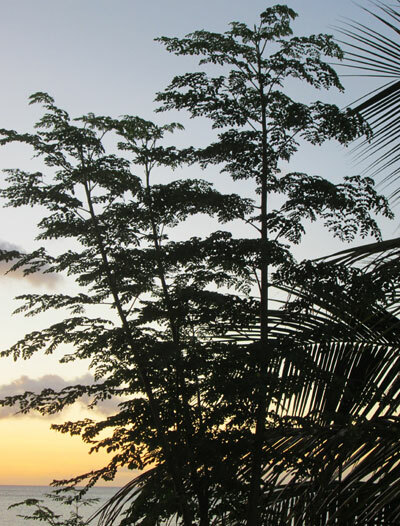 Planting and Care: Growing up to about 60 feet tall, the mammy is a truly tropical tree, hardy in almost all conditions in the tropics, but not at all resistant to COLD. It will do its finest in full sun with routine rainfall or watering. 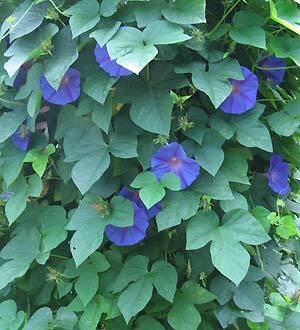 These are gorgeous scented flowering vines whose flowers conveniently come in a variety of colors. From: The Americas, the southwest in the US and down through Brazil in South America. Photographed: In in Belfast, Maine, in 2013. 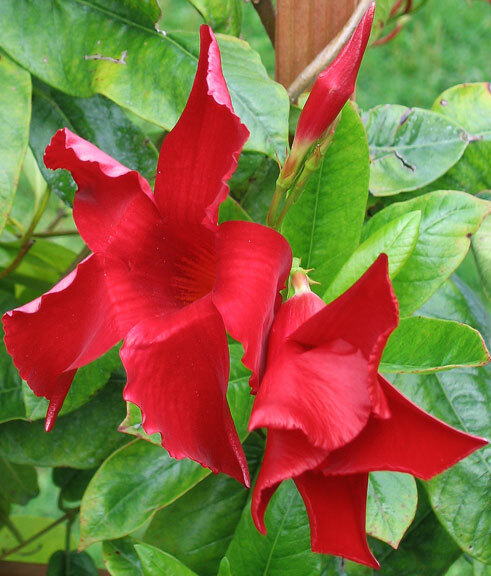 Planting and Care: Plant your mandevilla in rich well draining soil with additions of sand and compost. Find a place in your garden that has bright morning sun with shade arriving in the early afternoon to protect your plant from sun burn. As with all vines they will do better with a supporting trellis of some kind. These plants don't like winter so enjoy the benefits of a perennial by bringing it inside when temperatures are falling below 50° F. Place it in any window where there is bright indirect light and wait for springtime daily temperatures to be above 50° F when it can go outside again. Warning: Though there is little real evidence that mandevilla are poisonous to cats, if you have any concerns it would be best not to have one of them. 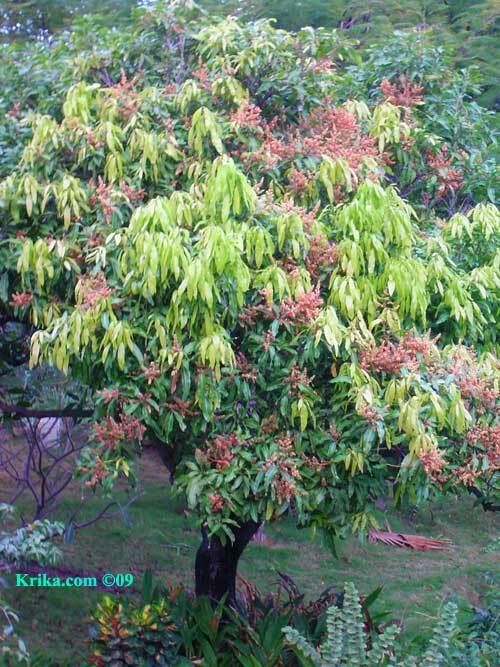 **Mango Tree (Julie variety) Mangifera indica L.
In our garden in Montserrat our mangos bloomed most heavily in January with the harvest beginning in May and continuing through August. The trees bloomed again in September, but lightly, just enough to give us some fruit in time for Christmas. Mango trees can become huge, up to about ninety feet, but ours were not so big. Benefits: Its leaves make a great yellow dye and are sometimes used for cattle fodder. If you ever wanted to cut one down, you could use the bark for its tannin and the wood for ship building. It should not be used in making charcoal. According to author David Eric Brussel who wrote Potions, Poisons, and Panaceas: An Ethnobotanical Study of Montserrat, a tea made from the leaves is used “. . . to treat colds, sinus congestion, asthma, coughs, and arthritis. The leaves are chewed to expel intestinal worms. . . . The resin from this tree is said to have anti syphilitic properties. A decoction of the bark or the dried pulverized seed is taken internally for chronic diarrhea.” (p 18) We can add to that what Yahoo News has to say, "
Known in natural medicine as the "King of all Fruits," ripe mangoes are a great source of beta carotene, while green ones are rich in vitamin C. Their abundance of enzymes and fiber help relieve digestion problems." Diseases and Insects: The most common disease anthracnose is indicated by black spots on the leaves and can be treated with a natural fungicide. 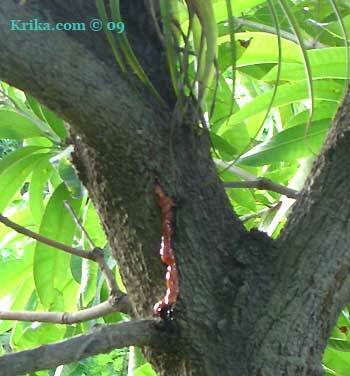 As for insects mangos are not bothered too much except for nematodes. 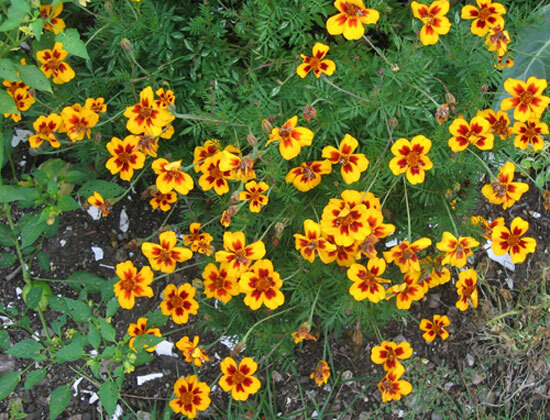 Plant marigolds under the tree to repel these nasty critters. 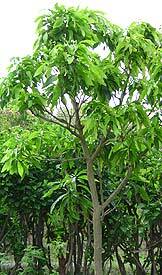 From: Although they are now common in many parts of the world, mango trees are originally from India. 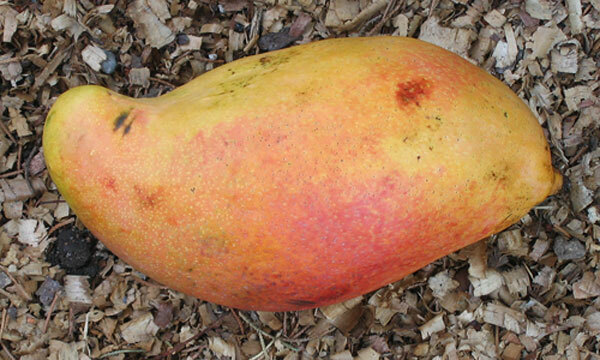 Fruit: Mangos should be picked when ripe as green fruits do not ripen well. Unfortunately, ripe mangos are very appealing to garden thrushes who insist in tasting every fruit by poking a hole in the skin. 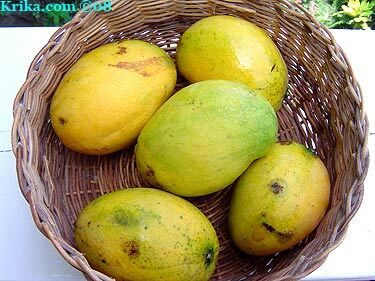 Varieties: It is said by some that the best variety to grow if you are starting fresh is “Bombay” because it is less stringy than other mangos. In Mexico we were enamored of the petecón or Haden mangos. In Montserrat our Julie mango trees were already mature so we didn't consider adding more varieties, even though a tree bearing petecóns would have been a real treat. One mango tree well known in Montserrat is called the hairy mango, because of its very stringy nature when it is not cooked. I loved mangos so much I collected these delicious undesirable fruits and peeled and sliced them for freezing. I had given them a quick test first to see if cooking them altered their stringy texture and indeed it did. I had hit upon a goldmine of free mangos and I was thrilled. Tragically, my enthusiasm led to my getting a serious case of mango allergy. 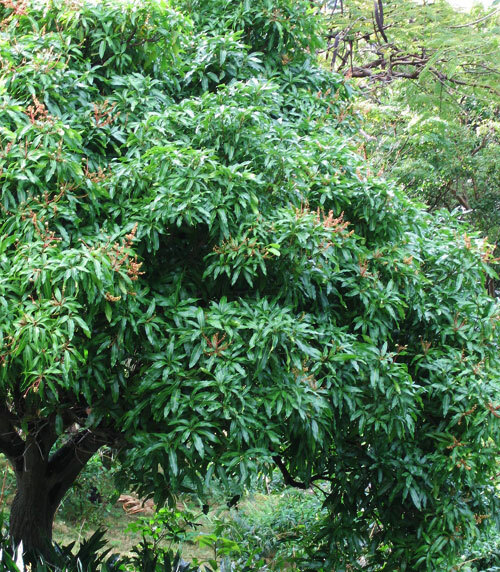 WARNING: The mango tree is in the poison ivy family so if you are allergic to one, you may be allergic to the other and this is something to be very careful about. After living for years in Mexico, mangos became my favorite fruit and a staple in our diet. BUT, having bought a property in Montserrat with two mango trees I developed an allergy when I harvested the fruit over the several weeks of ripening and peeled and chopped it for the freezer almost every day so we would have mangos all year. At first I became red as if I had a sunburn, then blisters grew on my swelling hands and face. I resisted as long as I could, but after a week or so I finally succumbed to a doctor's prescription for Prednisone as the burning and itching became unbearable. This is a very serious allergic reaction and sadly I will never be able to eat or touch a mango again. Honestly, I don't even like to see them in the market. This allergy is horrible. Photographed: On our deck at our former home in Montserrat. Mangos come in beautiful colors and a myriad of shapes. Photographed: In our garden at our new home at Lake Atitlan in Guatemala. Blend all ingredients well and freeze. I use little cups and insert a popsicle stick when they go in the freezer. Mix everything except the cream and place in a cold refrigerator for 1/2 hour. Remove and mix with the cream until blended evenly and pour into ice cream maker. Assemble the ice cream maker and fill the space around the ice cream bin with a mixture of rock salt and ice. Let it sit for 3 to 5 minutes and then begin cranking slowly. When you feel some resistance in the crank, increase the speed and crank it until it becomes stiff. Makes about 2 quarts of heavenly ice cream. Preheat oven to 350° F., peel and slice fruit into a glass bowl and mix with 1/2 cup of sugar, cloves, cinnamon, and lemon juice. Mix and pour into a greased 1 and 1/2 quart glass casserole. Mix remaining sugar, flour salt and butter to a crumbly consistency. Mix in the nuts and sprinkle over the fruit. Bake 45 minutes until lightly browned. Serve with vanilla ice cream. Place the mangos and sugar in a sauce pan and cook over medium heat, stirring occasionally. When the mixture is melted and simmering add the raisins and spices and cook until the raisins have softened. Remove from the heat, cool slightly and serve with a sprinkling of chopped nuts. Generously butter and then flour your baking pan. Preheat oven to 350° F. Sift the flour with baking soda, baking powder, and salt and set aside. Mix milk and lemon or lime juice. Cream the butter and sugar and beat in the eggs. Into the egg, sugar, butter fold in the flour and milk in alternate amounts ending with the dry ingredients. Mix well and stir in the mangos and nuts. Pour evenly into the pan. Sprinkle the top with chopped nuts. Bake at 350° F for about 1 hour. If you are using dark pans, line them with greased wax paper. Mix everything but the mangos and raisins and bring to a boil. Cook about 45 minutes uncovered. Add the mangos and raisins and continue cooking uncovered for an hour or so until it is thickened to your taste. Stir frequently at the end to prevent burning. Cool and pack in jars for the refrigerator. Prepare a barbecue grill with a greased rack about 6 inches from the coals. Take a mango, stand it on the stem end on a fixed counter. 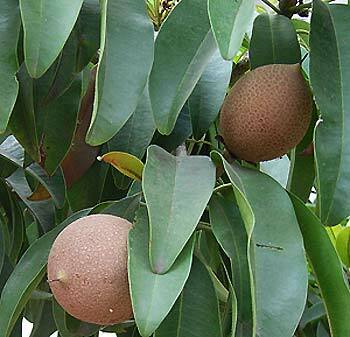 Take a very sharp knife and slice into the mango on the side of the widest part and carefully cut the fruit completely around to the seed inside. This is the messy part. Pull the two halves away from the seed. You'll have something that looks like a mango bowl. Quickly turn it inside out and slice the fruit in a crisscross pattern without separating it from the skin. Continue with the other mangos until you have enough for yourself and your guests. Place the mangos on the hot greased grill and cook them until browned and softened about 2 or 3 minutes. The mangos can all be prepared ahead of time so you aren't drenched in mango juice at dinner. 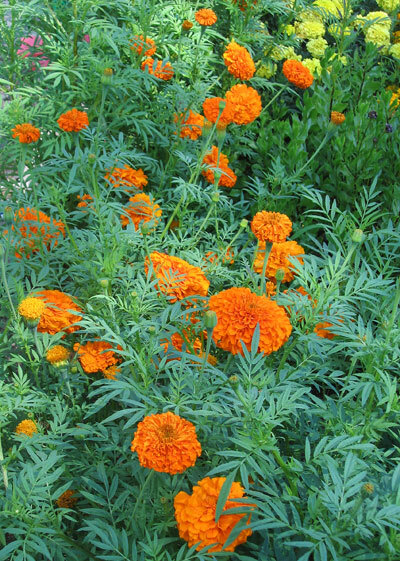 Marigolds are annuals and great flowers in almost any setting where there is sun; their colors are in the red to yellow range, the height of these feathery leaved aromatic plants varies from six inches to three feet and the flowers from about four inches across to only about one inch. 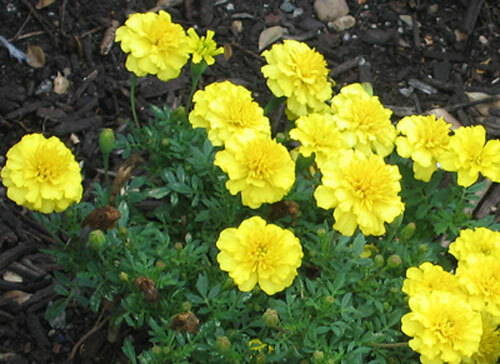 Benefits: Marigolds should be planted in almost any garden anywhere to naturally prevent insect damage. They really do work as protectors of vulnerable plants such as tomatoes. In the Caribbean they are a natural inhibitor of nematodes, which are a very serious problem. Planting and Care: Pick a few varieties that appeal to you or that meet special needs in your garden for color and height. They are easy to sow, just follow package directions. 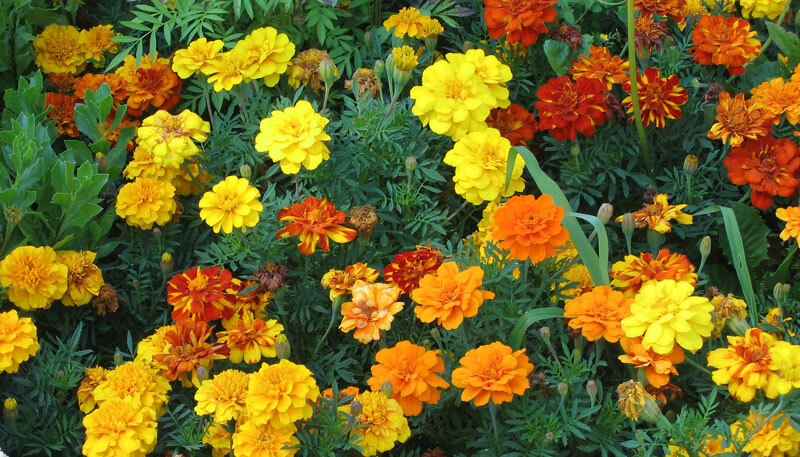 Marigolds are annuals so that means you'll be doing this every year. 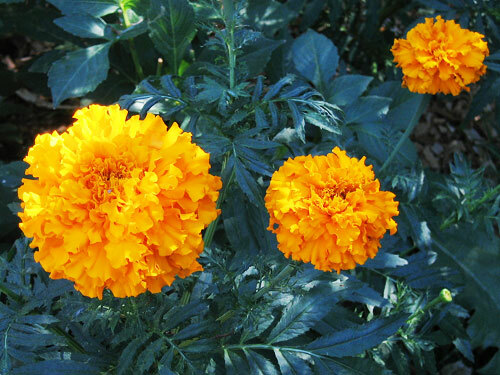 For those who are truly lazy gardeners, most garden shops have flats of marigolds ready to plant in the spring. Warning: Do not plant marigolds near green beans; they are not friends. Photographed: In Bar Harbor, Maine, in 2013. Photographed: In our upper vegetable garden at our former home in Montserrat in 2008. Photographed: At our new home at Lake Atitlan in Guatemala in 2011. 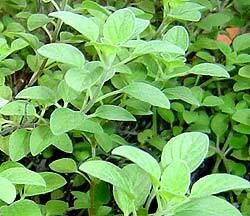 Marjoram has a milder flavor than oregano, but used fresh it is an excellent substitute. Benefits: Marjoram is said to have a long list of health benefits, but do consult your physician before using it medicinally. Photographed: Below on the left in our herb garden at our home on Lake Atitlan in Guatemala in 2015 and on the right in a pot on my terrace at our former residence in Taxco, Mexico. Planting and Care: This most essential herb is easy to grow once it is started. That is the only tricky part. If you are lucky enough to be near plant supply sources, buy one. If not, you are in the same boat as I am and I wish you well with starting seeds. I have no advice as I believe only being lucky has resulted in our having a plant. Once your plant is started and on its way it will grow well in full sun or semi shade. If grown as a potted plant I believe it prefers a clay pot. If grown in the garden it will spread, putting down roots from its delicate stems. It likes a sweet soil (alkaline) and regular rain or watering. You can see the difference in the two plants below, one grown in the garden the other in a sheltered place in a clay pot. The taste is the same, but I think the delicate one on the right is much prettier. 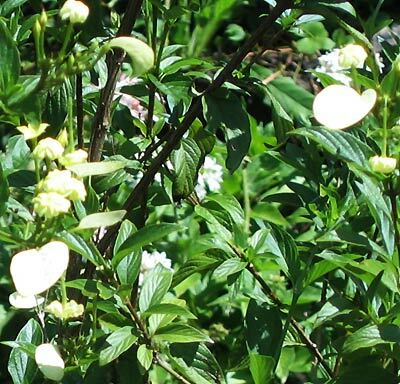 Benefits: Bees, butterflies, and hummingbirds find this shrub's powder puff flowers as attractive as we do. 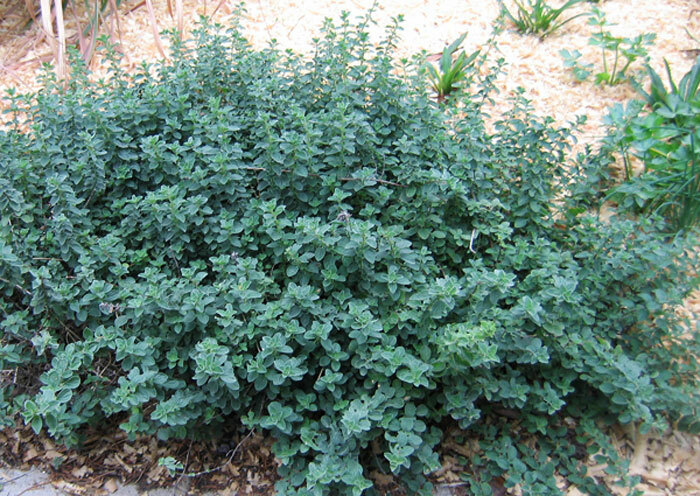 Planting and Care: This is a perennial shrub with feathery foliage liking to live in full sun, but accepting of some shade. it will grow to be up to be about 10 feet tall, but only in very warm climates. Mexican flame bush is known to be both salt and drought tolerant which makes it an ideal plant for the Caribbean and places with similar locations and climates. 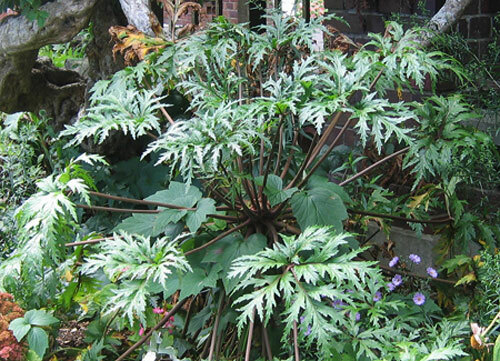 This long blooming plant and its pretty foliage belie its hardy nature and it's a perennial which makes it even better. Benefits: The sweet flowers on this plant will draw butterflies and hummingbirds. From: Mexico and the southwestern United States. Planting and Care: Plant it in full sun or in the shade and give it abundant water or keep it dry and it will do just fine as long as it grows in a warm climate. Its flexibility is a real plus and it is very pretty as well. 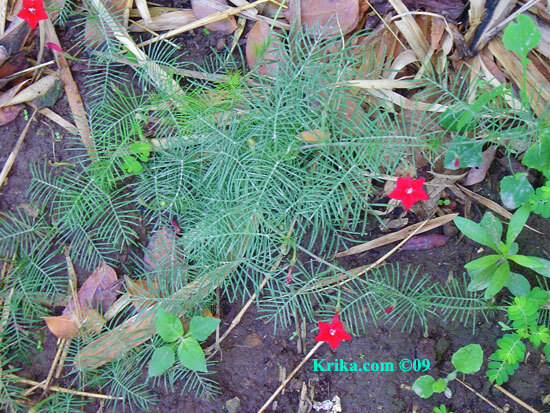 This is a lacy delicate trailing vine with small red flowers. It is an annual, but I suspect it will self seed without having to be replanted. Benefits: This sweet vine is a hummingbird attractant. Planting and Growth: I was given seeds and planted them along with some others in a large seed bed. The other plants were up and transplanted to the garden before the mile a minute ever showed up. When it did, I no longer remembered what I had planted, but waited to see what the little plants would turn into. My patience was rewarded as a couple of weeks later they had developed enough so I realized what they were. 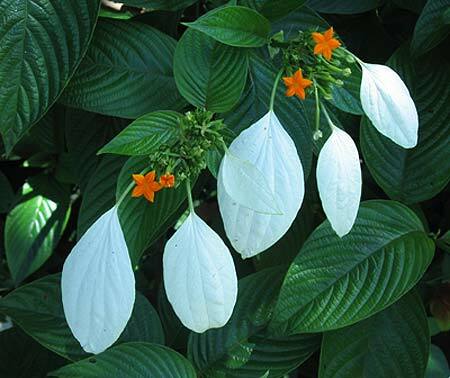 They will grow best in full sun or semi shade with a medium amount of routine rainfall or watering and will bloom in the tropical summer months of June, July, August and September. You can expect the vines to reach up to fifteen feet in no time at all as the name implies. Mint is one of our favorite plants; it likes sun and lots of water. As home owning residents, we visited the Agricultural Department in Montserrat and saw potted mint plants. We hoped to buy a few for our garden, but they were all privately owned by Agricultural Department staff. Benefits: Mint tea made from a cup of boiled water poured over 5 or 6 freshly picked mint leaves I can testify is a life saver to those with almost any kind of digestive distress. Have a cup after meals. As well, mint is a calmative for those with anxiety and a cup of mint tea before bed may help you sleep. 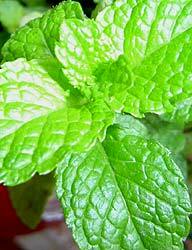 Mint also has antioxidant properties and may be a useful over all toxin cleanser. Photographed: As a potted plant on our terrace in Taxco, Mexico. Planting and Growth: Probably the nicest way to have a mint plant is to be given a few snips from a neighbor which happened in Taxco, Mexico, giving me the pretty plant you see in the photograph. Once established, mint grows almost too well so it is best planted in an area naturally or intentionally restricted like in a big clay pot. 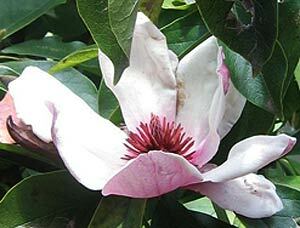 It likes sun or semi-shade and reasonable rainfall or watering. 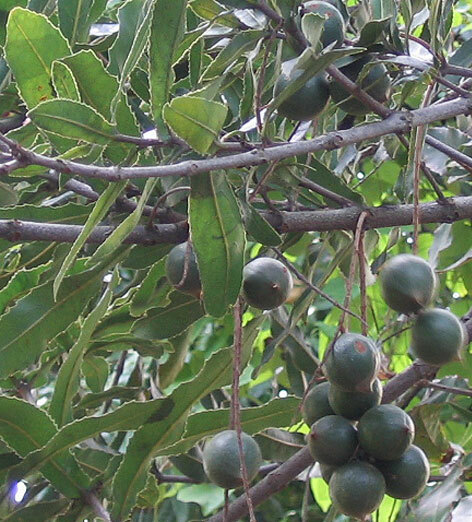 This fruit is born on an evergreen tree that will reach about 90 tall in the wild. It is much shorter in cultivation, but its fruits are mostly for local use as the flavor takes some getting used to. Benefits: All of the interior is edible. Photographed: At our home after having been purchased in the local market. Planting and Care: This tree is fast growing a great survivor in heavy wet soils at altitude. It produces enough fruit that it is sometimes used to adulterate cocoa to produce a poor quality affordable chocolate. 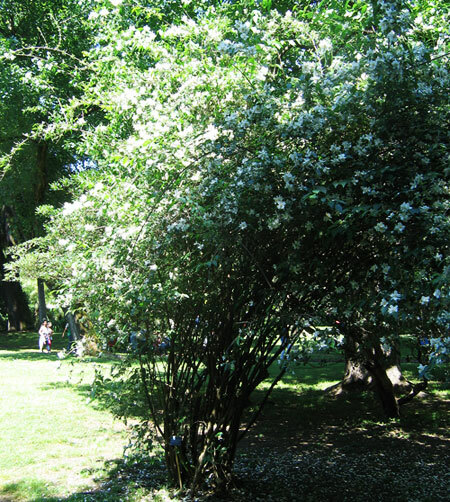 I think this was a staple backyard shrub in almost all the homes I remember as a child growing up in New England. These bushes aren't spectacular, but when they are covered in sweet smelling flowers they are lovely for a good bit of time. Benefits: What I never knew about this old time favorite bush is its gentle soap like quality. Simply wet your hands and rub a few leaves vigorously until the light lather makes them feel clean. Photographed: At the Botanical Garden in Naples, Italy, in 2013 and 2014. Planting and Care: In its northerly climate it prefers to be planted in full sun where it will bloom beautifully in early summer. 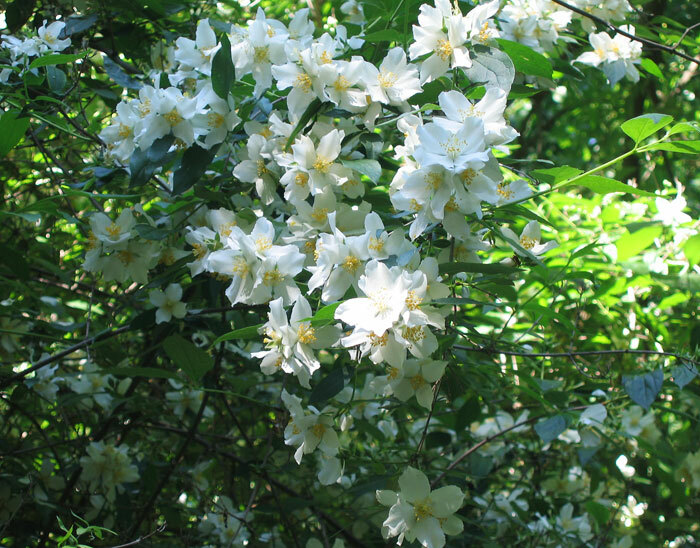 Mock orange bushes also prefer well draining relatively dry soil. At its best it will be about 10 feet tall. Photographed: In the (Ortobotanico) Botanical Garden in Naples, Italy, in 2013. 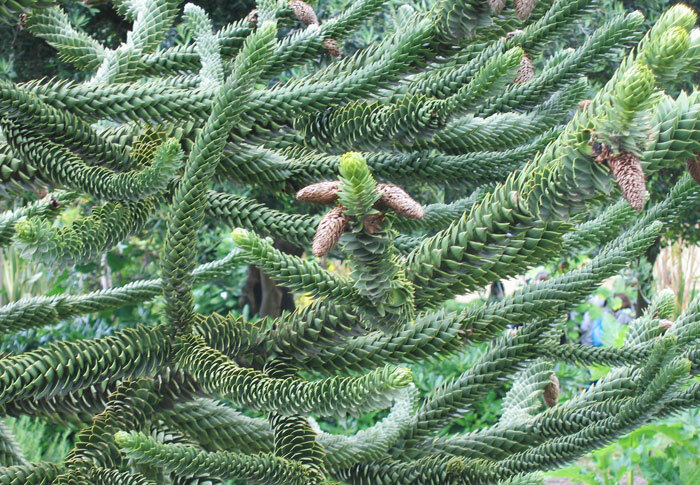 This is an extremely puzzling tree and obviously its name is well earned. We saw it first in Ushuaia, Argentina, and then surprisingly in Naples, Italy, in the Botanical Garden. It is very intriguing and equally attractive. If you are looking for a very special specimen tree for your garden this may be just the ticket! Benefits: The wood of this tree surprisingly has both anti-fungal and anti-bacterial characteristics. Planting and care: Normally this tree grows naturally at altitudes of 600 meters and above, but these pictured were both thriving at close to sea level. Eventually these trees will reach a height of about 150 feet growing best in moist loamy soil. 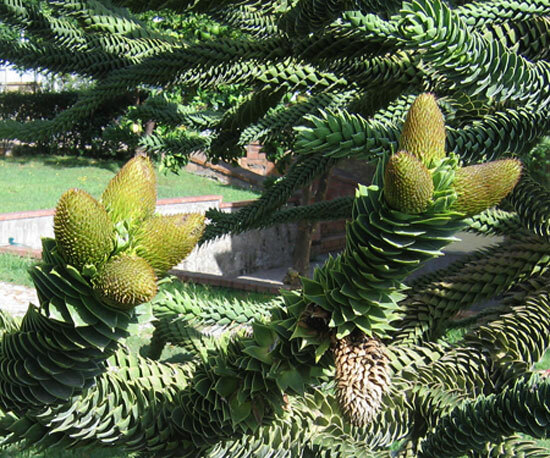 The monkey puzzle tree is endangered and available for planting only in special gardens. 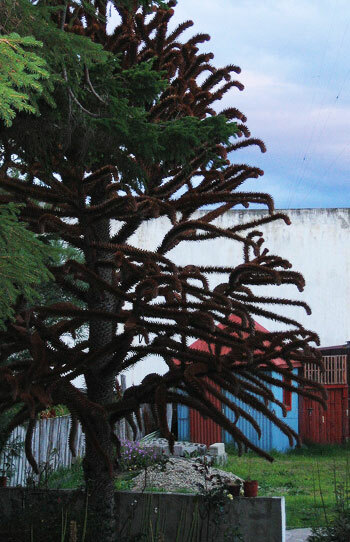 Photographed: On the roadside in a personal garden in Ushuaia, Argentina, gateway to Antarctica, in 2011. 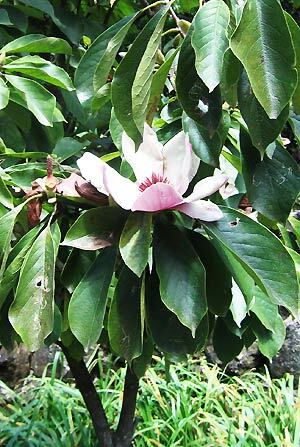 Photographed: In the (Ortobotanico) Botanical Garden in Naples, Italy, in the spring of 2014. When we arrived in Tobago in November of 2017, both of us were very ill having caught some type of cold or flu in our time in New England. Our friend Gerry who runs his hotel as a home away from home for friends from Trinidad and from around the world gave us some moringa leaves so that we could make a healthful tea. We did so and we did indeed begin to heal. 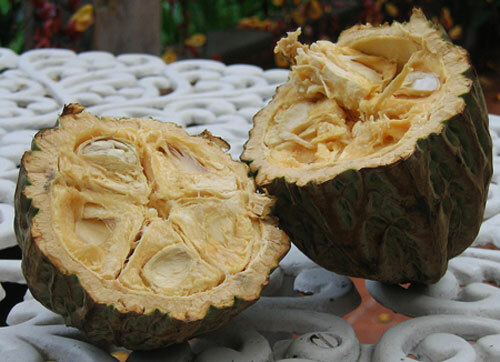 Benefits: Its young seed pods and leaves are used as vegetables and they are high in nutrients across the board. 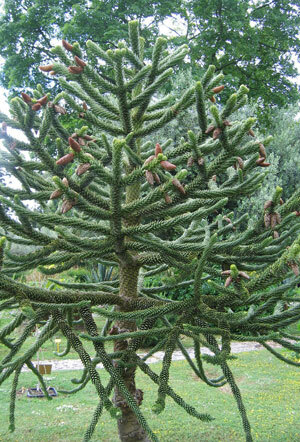 Many parts of the tree are also used in traditional herbal medicine. As noted above, we made moringa leaf tea which had a fresh taste and helped us recover from a cold or flu. 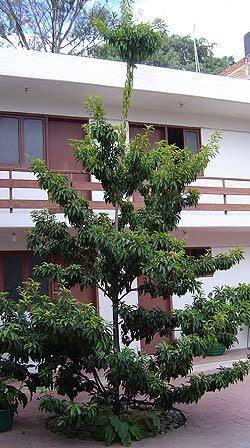 Planting and Care: This is a soft wood, fast-growing and drought-resistant tree. 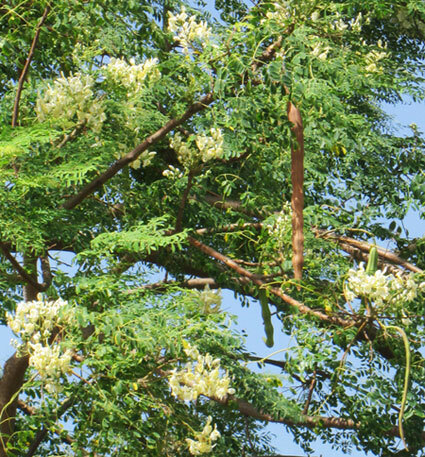 Moringa oleifera is tolerant of a wide range of soils, but it does like a neutral or slightly acidic soil. 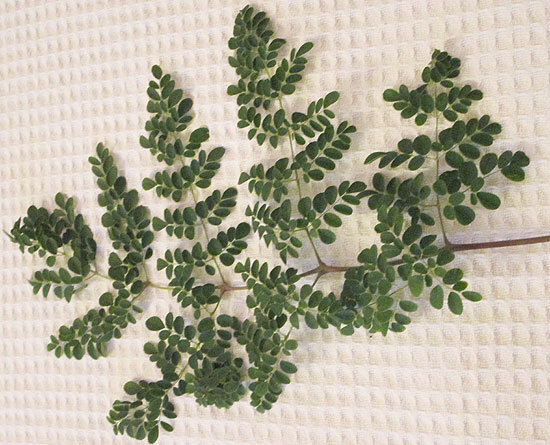 Like me, moringa loves sun and warmth, and will not accept freezing or even frost. This is one of those great garden standbys. They twine themselves around everything and bloom continually with flowers opening every morning and closing as evening approaches. 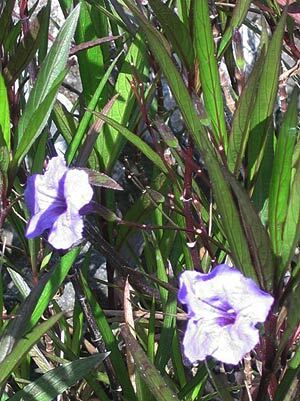 In Mexico they grow wild by the roadsides and are called platos quebrados or broken plates. 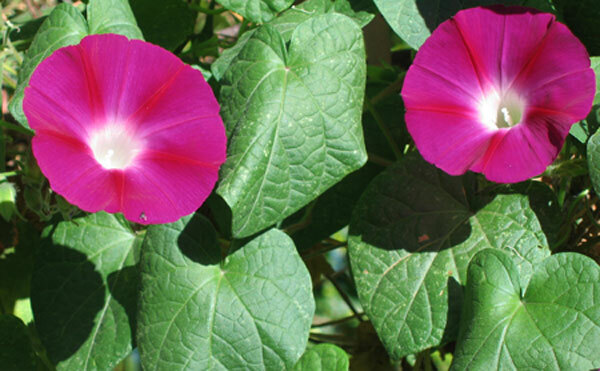 Benefits: Morning glory plants and seeds have many useful characteristics. Even the Aztecs used them for their hallucinogenic qualities. 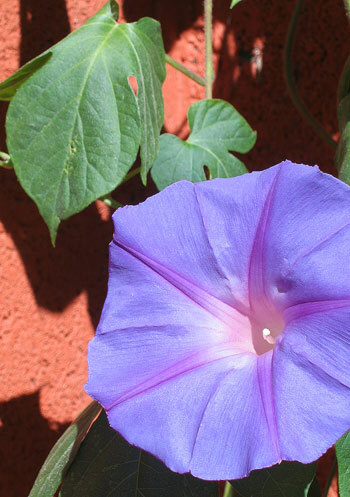 From: Some morning glories are natives of the tropical Americas. Others grow in cooler areas of Asia. 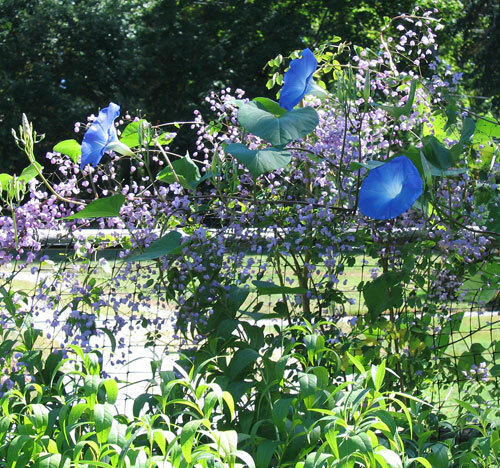 Planting and Care: Morning glories are either annual in cold climates or perennials in warmer climates. Often they will self seed. Pick a sunny spot to plant the seeds and provide routine watering or rainfall to keep them happy. They are fast growing and come with purple, blue (my favorite), pink, red or white flowers. Photographed: At the Hotel Atitlan on Lake Atitlan in Guatemala, in 2010. Photographed: In our garden in Panajachel, Guatemala, in 2012. 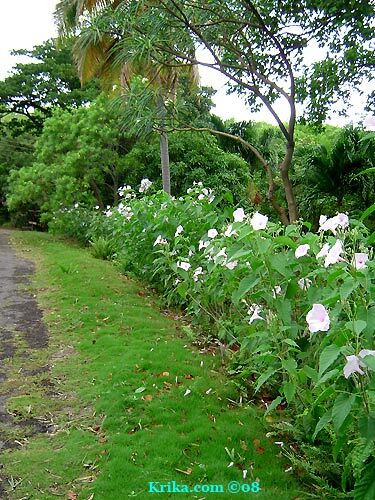 This soft looking flowering bush growing over 10 feet tall thrives in rough conditions in Montserrat. It is more beautiful if cared for, but it seems to be one of those plants that has a will of its own to survive and to be stylish while doing so. We had one by the wall just inside our driveway entrance and its three inch lavender flowers were a continual delight. We liked it enough to use it as a hedge. It is fast growing and continually covered with flowers. 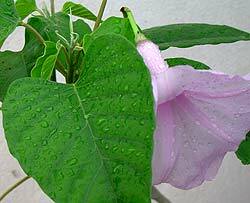 Benefits: Ipomoea carnea has traditional medicinal uses in relatively serious medical situations. 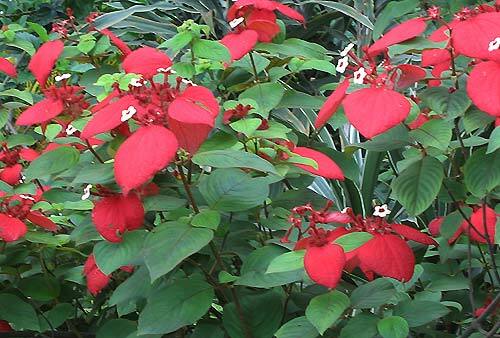 From: This glorious flowering bush originated in the tropical areas of the Americas. Landscaping ideas: As you can see in the photograph to the right, this flowering bush will make a beautiful informal and carefree hedge. Ours in the photograph replaced a very tall and very old red hibiscus hedge which died while we were away in Greece. Surprisingly on a small island with folks who resist giving compliments, our new hedge drew quite a bit of attention. Planting and Care: Bright sun, not infrequent fertilizing, and routine rainfall or watering will keep this shrub/bush at its best. Warning: The seeds of this plant are toxic. 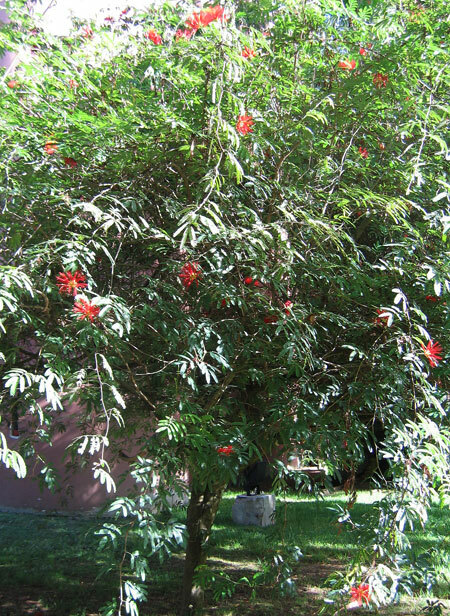 Lost to the volcanic eruption in Montserrat on July 7, 2003, this was the large-leaved tree with deep red orange flowers that grew beside our pool. Its leaves and especially its flowers made for a bit of a mess in the pool which took a lot of extra cleaning, but enjoying the tree’s beauty while lazing in the pool was well worth the effort of a little more clean up. Swimming under the tree was lovely and we missed it every day. 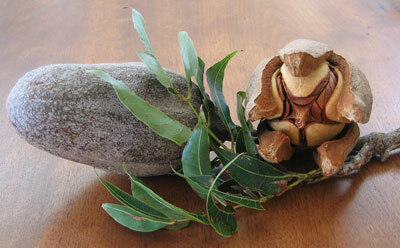 Benefits: The Mahoe has been used in traditional medicine and as a source of timber. Planting and Care: In many ways this might be considered a 'weed' tree. It will grow in almost any soil type with and without a lot of rainfall. 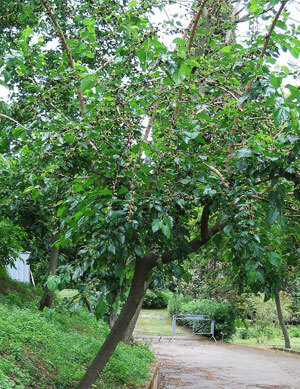 When living in Rhode Island I enjoyed a neighbor's mulberry tree which backed into one of my garden areas. I especially loved the bountiful fruits it provided. 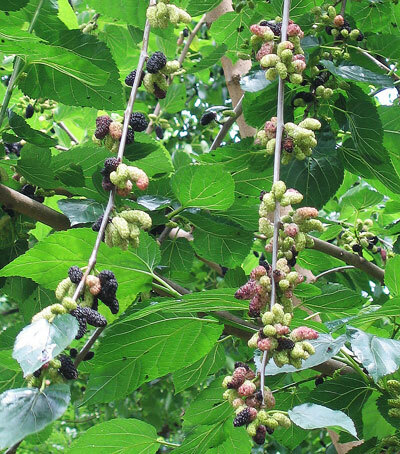 Benefits: By far, the best use for mulberries can be found in Sicily home of Italy's gelato. It is truly a moving experience to have a cone of 'gelso' gelato with a pile of 'pana' or whipped cream on top. Mulberries are loaded with good vitamins and may also be useful in treating or preventing illnesses like high blood pressure. They are also said to improve circulation and vision among other things. Planting and Care: When mature this tree will be about 40 feet tall and will spread almost that wide as well. They are relatively easy to grow so when you purchase your small tree, be sure to ask all the questions you may have about where and how to plant it and how to care for it over time. Benefits of the Edible: This low calorie food wonder is as good for you as it is good tasting. Added raw to salads or cooked with almost anything mushrooms will add a special flavor boost along with significant nutrients. Most edible mushrooms provide us with potassium, vitamins B and D, fiber, phosphorous and antioxidants. Buy them organically grown because it is impossible to remove pesticide residues from the porous surface of mushrooms. 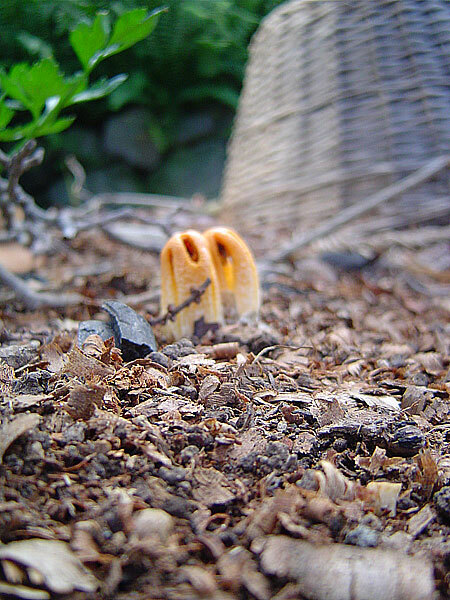 Planting and Care: Mushrooms like a warm, moist and dark environment and monitoring the pH of the growing medium is also important. Given a place to grow with these qualities, mushrooms are said to be a self sustaining crop. This is yet another of our stinkhorn invaders, though I don't recall that it smelled as bad as the others. Photographed: In our upper vegetable garden at our former home in Montserrat. Planting and Care: This is not something you would have in your garden if it hadn't arrived on the wind. 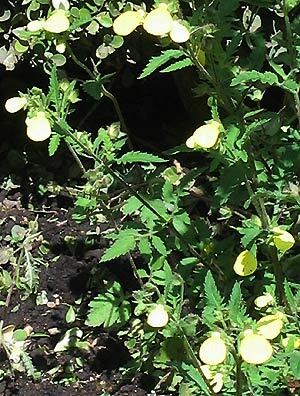 When we first saw this one growing in our shady terrace garden we had a good laugh about the shape and coloring, naming it "stinky fingers" before running quickly away from the truly awful smell. We took a photograph the next morning of the new ones that had appeared overnight and then with our noses in an uproar, we dug them out, finding them connected to firm round white balls just under the soil surface. We became very religious about the removal every morning, because the smell was so bad and so strong we couldn't spend any time in the terrace unless they were removed. A good friend who recently left Montserrat for a home in Oregon told us what they were and we now have an answer to our long standing question about another stinkhorn mushroom. 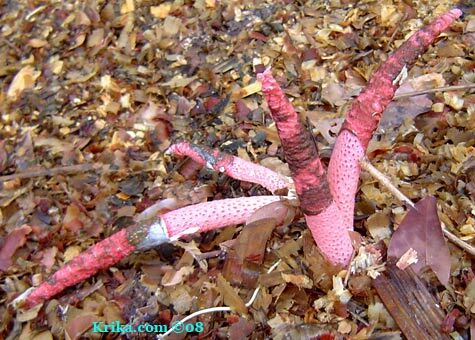 Benefits: This stinkhorn has anti-microbial and anti-bacterial characteristics. This apparition appeared in the area of our upper vegetable garden about two years ago. About six inches high and brightly colored, they smelled enough to attract flies, but not enough to drive us from the garden as did the "Stinky Fingers" described above. They seemed pretty creepy and none of the local farmers we talked to would tell us anything about them, claiming never to have even seen them in their entire lives lived on island. That didn't seem too credible and we did find out what they were from former Montserratian expats now living in Oregon, Inge and Wolf Krebs. 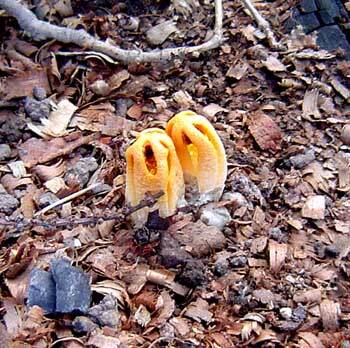 They also had the stinkhorns in their garden when they lived in Montserrat. Benefits: This is a butterfly and hummingbird attractant. Planting and Care: This is a small member of this lovely family of plants so choose its place in the garden carefully to show it off at its best. 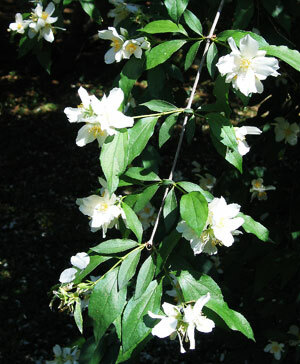 It prefers a bright semi-shady area or full sun and a good bit of rainfall or watering. It is not winter hardy. No longer one of my many mysteries thanks to Beth in San Antonio, Texas. This large bush struck my eye from all the way across a terrace filled with beautiful plants. It was so striking because of the bright white leaves you can see in detail in the photograph below on the right. Surrounding the small flowers and lying against the deep green of the other leaves these white leaves made something almost magical. 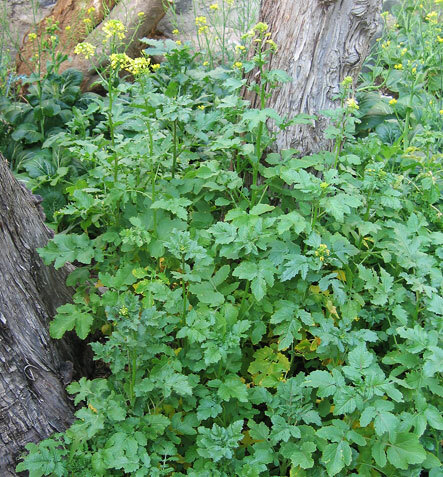 Benefits: Its leaves are edible and as well this plant has many traditional medicinal uses. Photographed: In the garden of the Hotel Atitlan on Lake Atitlan in Guatemala. 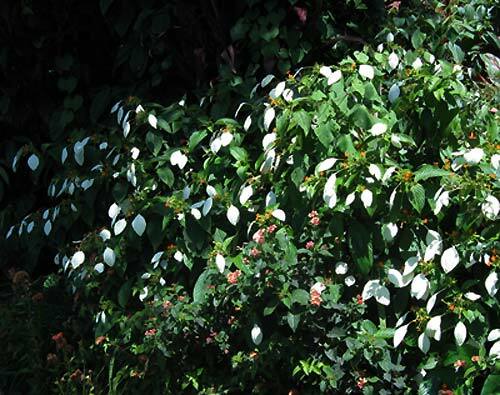 At its happiest the tropical dogwood will grow to be 10 feet tall or more and all along the way will be attracting butterflies. Photographed: In the garden of the Hotel San Buenaventura on Lake Atitlan in Guatemala. 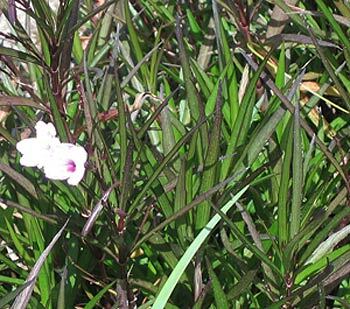 Planting and Care: Like others in this family, this plant likes full sun and routine rainfall or watering to be at its best, though it is fairly tolerant of soil types and qualities. It is relatively immune to serious insect damage and diseases. Prune it with abandon to keep the shape you want and it will delight you by producing more flowers. It is truly tropical in nature, intolerant of cold weather, much like myself. Benefits: Mustard seeds and greens provide a long list of very beneficial nutrients. The plant may also have medicinal benefits in the treatment or prevention of serious illnesses. Planting and Care: The plants in this photograph grew while I was long away. Before leaving I took several spice seed bottles and emptied the left overs into an area of the garden where I hoped to have wildflowers. Many of the seeds sprouted, receiving regular rainfall and sunshine and did beautifully.